The University of Tennessee has made the ultimate gesture towards their regional neighbors at a truly difficult time. Thousands of people will be forced out of their homes this weekend when Hurricane Florence hits the Carolinas. Fortunately for those who have evacuated to Tennessee, they'll have the opportunity to see some free football at an iconic venue. ​​What an amazing move by the ​Tennessee Vols to help out those in need and give them a chance to get their minds off the storm. 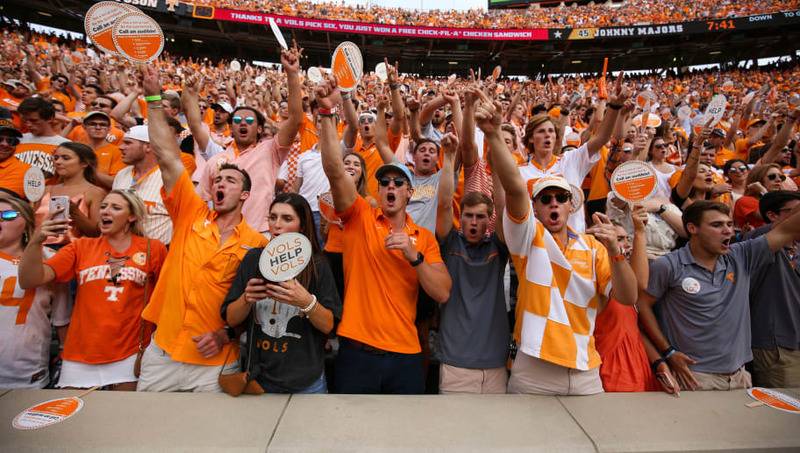 Even if the game will likely end up being lopsided, free football is still free football, and Neyland Stadium is a cathedral of the college game. I'm sure there will be plenty of Carolinians who will suit up in the orange and white even if it's just for a day. The Vols are safely out of range from the hurricane so their game will be played out without a hitch. If only the same thing could be said about the ​South and North Carolina schools. The University of El Paso at Texas isn't exactly the pinnacle of division one football so the Vols will likely put on a clinic during the game. Even still, who's gonna turn down some free college football?